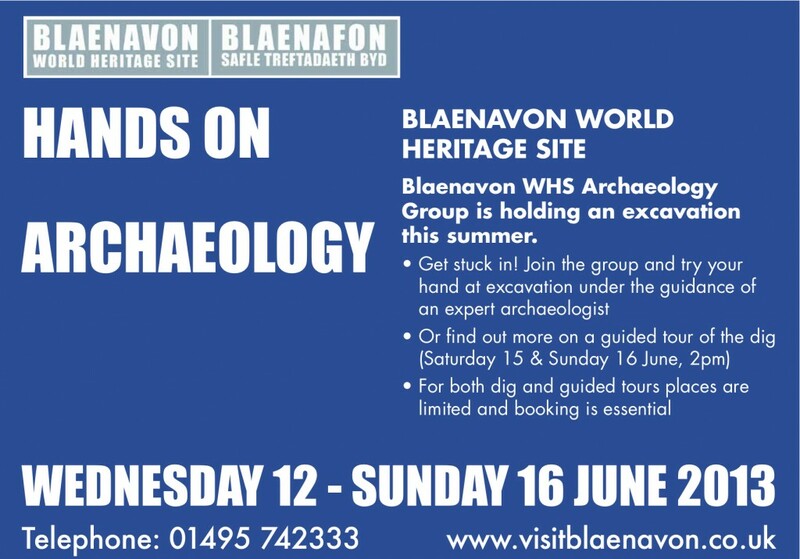 June offers another exciting month with Forgotten Landscapes project at the Blaenavon World Heritage Site. There will be one of the biggest archaeology digs taking place this year. So we thought we’d have a quick chat with Dr Amelia Pannet who is leading the dig and find out what the community archaeology dig is all about. The Community Archaeology Dig on 12th – 16th June and is overseen by Dr Amelia Pannett MIFA, who’s the Project Manager for Archaeology Wales Ltd.
1. What is your role as part of the Community Archeology Dig? 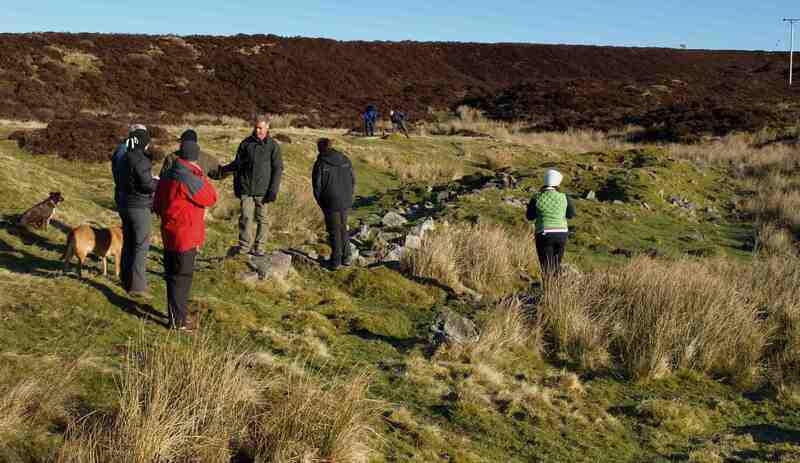 The community archaeology dig forms part of a course that I (in my role as Project Manager at Archaeology Wales) am running for Forgotten Landscape Project (FLP). The course aims to train volunteers in the skills they need to run their own research project and how to monitor sites within the WHS to ensure their long-term preservation. For the dig itself, my colleague Sian and I will be training the volunteers in all aspects of excavation, recording and surveying. 2. How and when did you begin teaming up with the Forgotten Landscapes project? I first started working with the FLP volunteers in early 2012 when we were compiling a Conservation Management Plan for the site of Hill Pits. This involved recording the different features of the site as they survive, looking at possibilities for future work and monitoring the features to ensure they do not deteriorate in the future. This initial work leads on to a programme of small-scale clearance at the site, revealing the footprint of part of the cottages associated with the mine, making it easier for visitors to understand. 3. 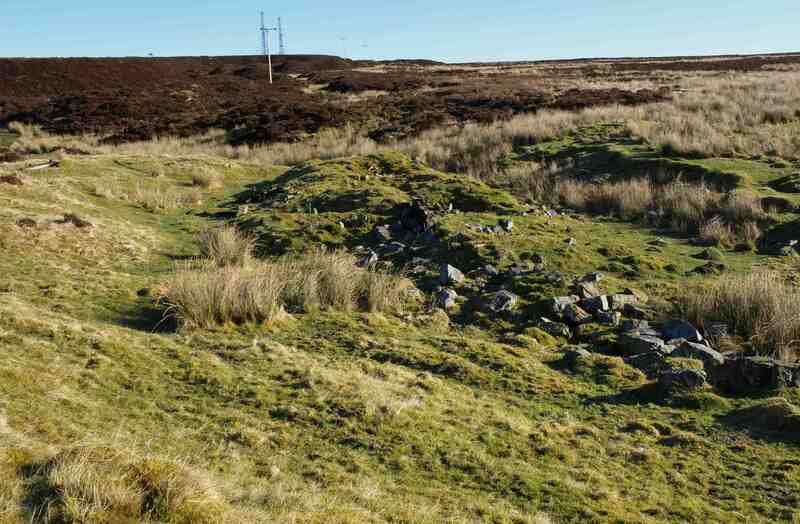 Why is the Blaenavon area of such archeological importance? Blaenavon is unique! The landscape contains a huge number of sites relating to all aspects of the industrial use of the area – from the very early scourings to extract coal to the modern workings at Big Pit. 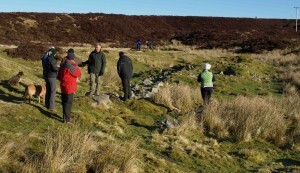 Aside from the industrial sites, for which Blaenavon is best known, there is a lot of pre-industrial archaeology, ranging from prehistoric burial cairns to the small hill farms that existed in the landscape before mining and ironworking came to the area, allowing us to see the evolution of the use of the landscape. 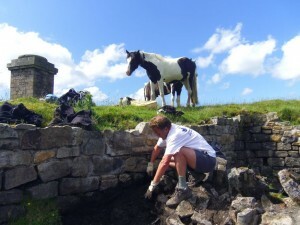 The preservation of sites is also significant – although most are in a ruinous condition, a large number of post-medieval and industrial sites are still recognisable as houses or mine workings, which is fantastic for visitors who can visualise how people would have lived and worked in the landscape. 4. Could you briefly outline exactly what you’re working towards in June? We are investigating the site of four ruined cottages and their associated outbuildings, fields and water supply. The cottages sit within one of the main areas of early mining in the landscape and date to at least 1820. We want to learn more about the development of the site – how did the occupants of the houses live and work the surrounding land, what did they have to do to ensure a fresh water supply and where are they likely to have worked. Our research so far has involved looking at old maps and documents and we have also started a survey of the site, producing a drawn and photographic record of its current state of preservation. This information will allow us to put together a series of research questions that we will then aim to answer through the excavation of a small number of trenches.